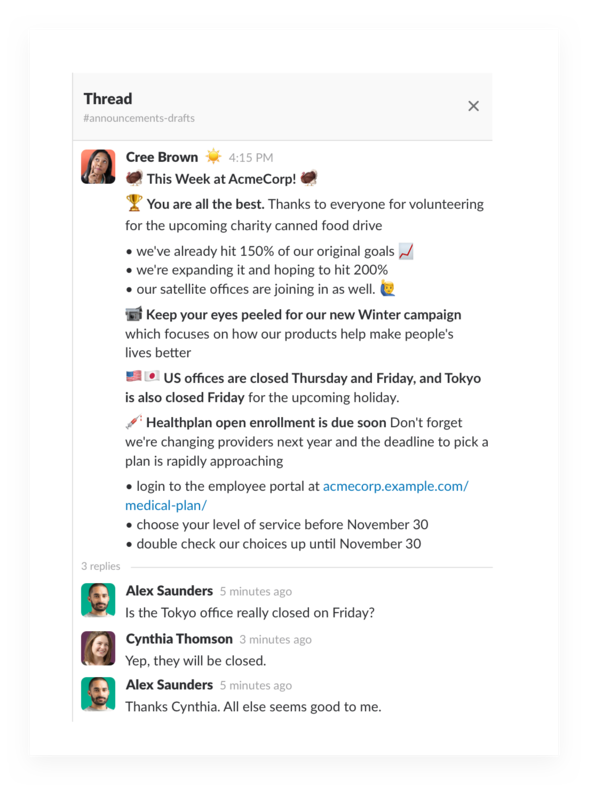 Using your main #general channel to post company announcements means everyone on your team will see them, and it can be a great way to share news and information every employee should know. 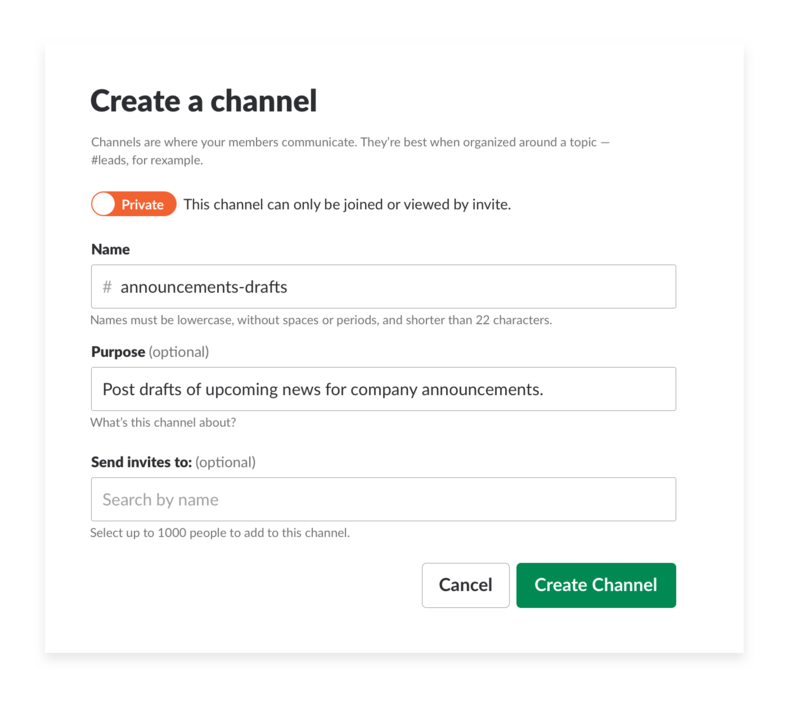 Create a private channel called #announcement-drafts where invited internal communications and marketing staff can post drafts of upcoming news meant for company announcements. 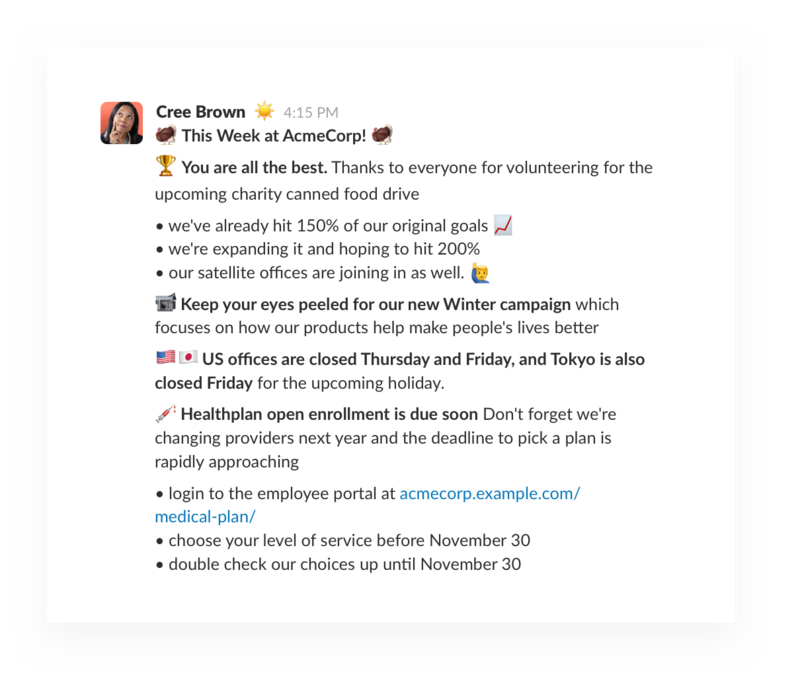 Use message formatting to make your announcements easy to scan by using emoji to set off sections and bold titles to serve as headers. In your private #announcement-drafts channel, gather feedback and suggested rewrites from everyone, and when the time is right, post to your public announcements channel. 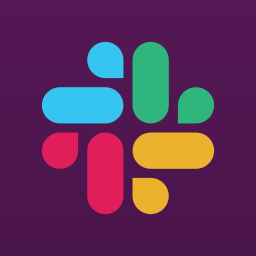 Tip: you can rename your default #general channel to #announcements and set it to only allow administrators of your Slack workspace to post.